OMG Posters! 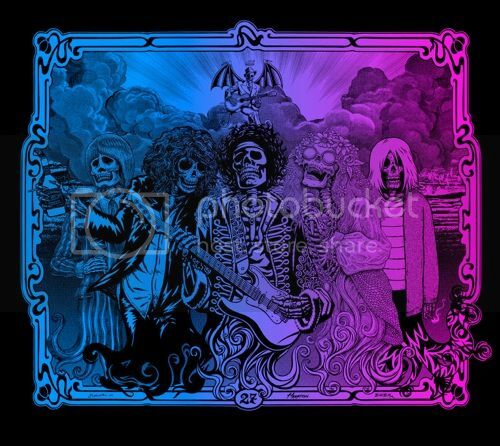 » Archive "The 27 Club" Art Print by PNE (Gallery Edition Onsale Info) - OMG Posters! NOWhere Limited Gallery will release a new version of “The 27 Club” by PNE (Emek, Jermaine Rogers, and Justin Hampton). It’s a 23″ x 27″ screenprint, has an edition of 27, and will be $200. These go up tomorrow (Thursday, October 1st) at a random time between 2pm-3pm EDT. Visit NOWhereLimited.com. Nice print, nice small edition, not so nice price!